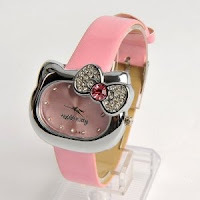 Amazon has an amazing deal on this Hello Kitty Girl's Wrist Watch for only $4.16 shipped! This is a perfect gift for any Hello Kitty fan. Color: PinkFor more of the latest deals & greatest steals, stay tuned to The Coupon Centsation on Facebook.